I don’t know about you, but I was a really picky eater when I was a kid. The only meat I could stomach was Kentucky Friend Chicken, the only vegetable I could swallow without gagging was carrots, and if it wasn’t for my grandma’s delicious yorkshire pudding recipe, I probably wouldn’t have eaten anything when we got together with our extended family to celebrate the holidays. 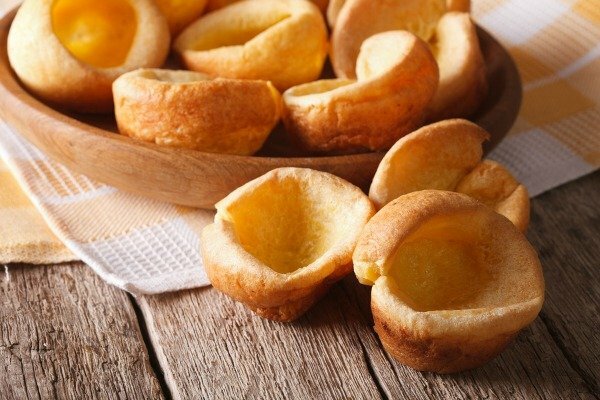 Have you ever had yorkshire puddings? Yes? Well, I’m willing to bet they weren’t as delicious as the ones my grandma made. No matter how many I ate, or how I ate them – with a little butter melted on top, gravy smothered all over, a little strawberry jam, or all by themselves – I always wanted seconds. And sometimes I wanted thirds. Sadly, my grandma passed away a few years ago, but my mother was nice enough to pass her recipe along to me, and now I’m share it with all of you. I hope you enjoy these as much as my family has over the years! Sift flour & salt into mixing bowl, make a well in the center, and add the egg and 2 tablespoons of the milk/water liquid. Beginning in the center of the bowl, use a wooden spoon to combine the ingredients. Gradually add ½ of the liquid, stirring gently to draw the remainder of the flour into the mix. Stir in the rest of the liquid. Add a little lard into the center of each section of a muffin tin. When the fat is almost smoking hot, pour the batter evenly into each section of the muffin tin, and bake on the top rack of the oven for 15-20 minutes. 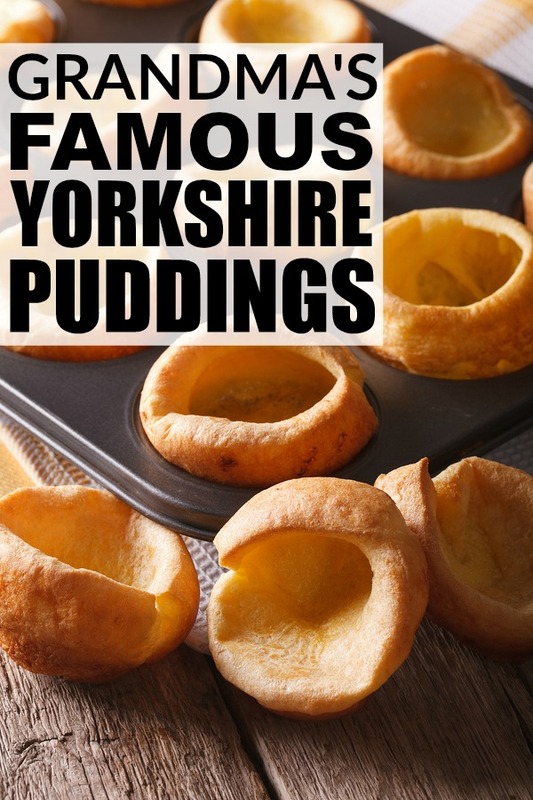 If you enjoyed my Grandma’s yorkshire pudding recipe as must as I do, please share it on Pinterest! And if you’re looking for more food ideas to add to your weekly rotation, please follow our Food board where we share all kinds of fabulous recipes!